In Time Management, after define activities process, activities that need to be performed to complete the project scope are determined. But, these activities must be performed in a sequence. What’s the reason for conducting this sequence activities process? Because some activities will depend on another, therefore they need to wait before the dependent activity finishes, some activities will start together and some activities will finish together. Therefore, the sequence of the project activities must be formed. This is mainly done with the help of Sequence Activities process. If you are thinking about making an application for PMP, in the PMP project management course you are enrolled in you will get a detailed explanation about sequence activities process. So let’s explore what Sequence Activities process is, what is the best practice for implementing this process and finally illustrate for Sequence Activities process with a real-life project example. Are you ready to learn what sequence activities process is all about? Read on! 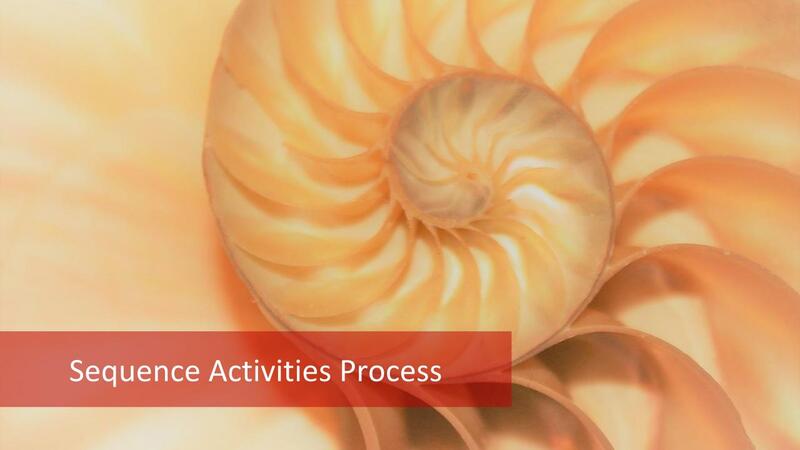 What is Sequence Activities Process? 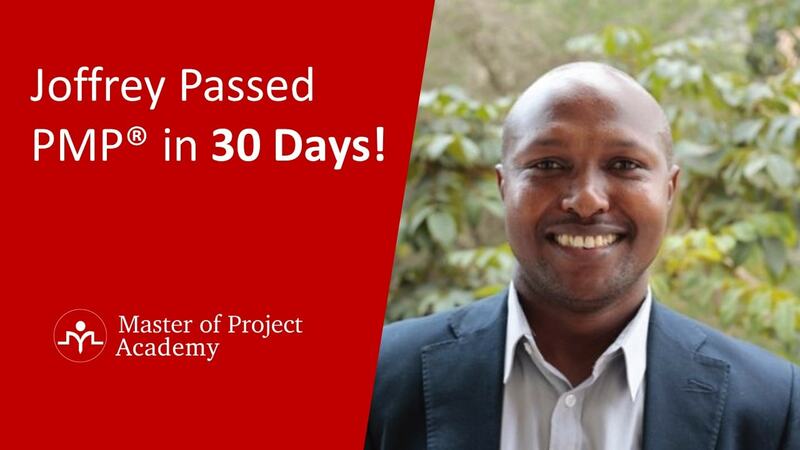 As defined in the PMP certification course, Sequence Activities is the process of identifying and documenting relationships among the project activities. So the main purpose of the sequence activities process is finalizing the interrelationship of activities to complete the project scope and reach the project goals. The key result of the Sequence Activities process is Network Diagram. Network diagram of a project visualizes the project activities in boxes with activity ID and shows the interrelationship of activities with arrows. Now let’s briefly review this output of Sequence Activities process with a sample. This figure shows a sample network diagram as a result of sequence activities process. Activity #1 must start first. After Activity #1 finishes, Activity #2 and Activity #3 will begin. Activity #4 can start only after Activity #2 finishes. Activity #5 depends on Activity #2 and Activity #3, therefore, it will start only after these two activities are completed. And the last Activity, activity #6 can start only if Activity #4 and Activity #5 are completed. After activity #6 completion, the project will end. Note that this is just a simple and sample network diagram in order to show you how a network diagram is. 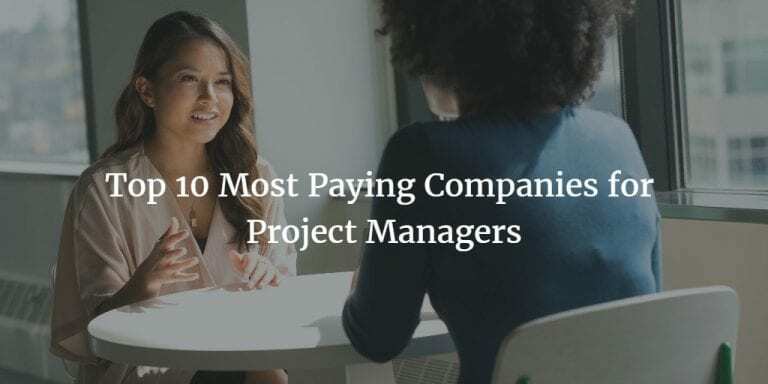 In real-life projects, there will be lots of project activities so the network diagram and also sequence activities process will be much more complex than this. How to Create a Good Network Diagram in Sequence Activities process? 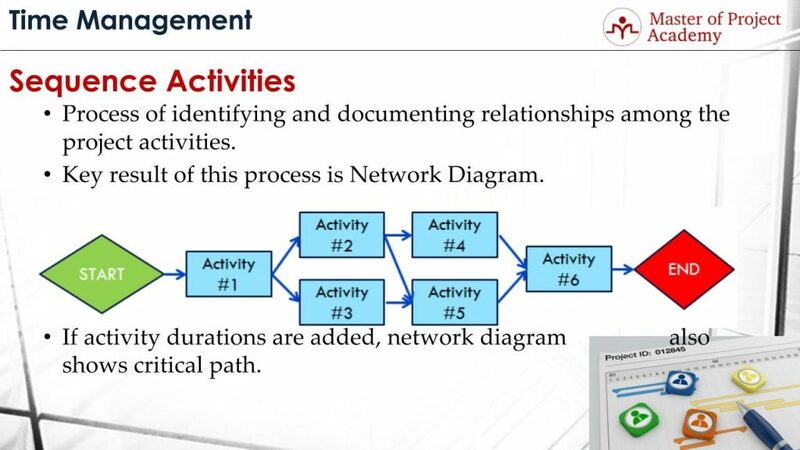 If the activity durations are added in the Network diagram during sequence activities process, the critical path of the project can be seen as well. A network diagram is a critical input to determine the critical path of the project and if activity durations are placed on these activity boxes, these will help in seeing the critical path of the project as well. 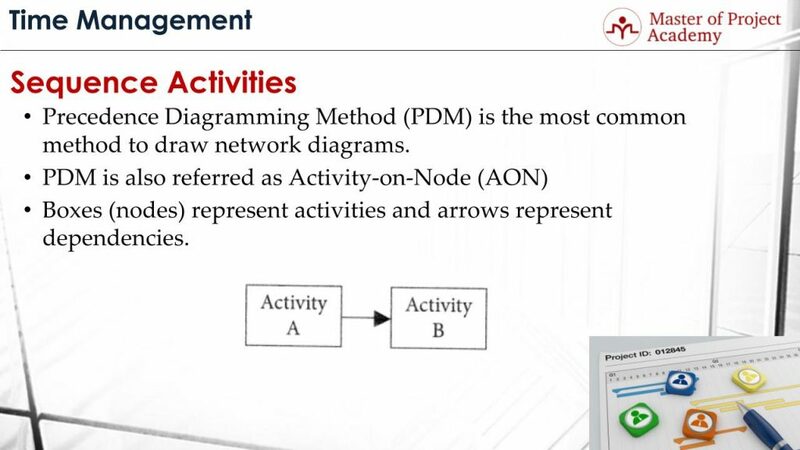 Precedence Diagramming Method which is abbreviated as PDM is the most common method to draw network diagrams. 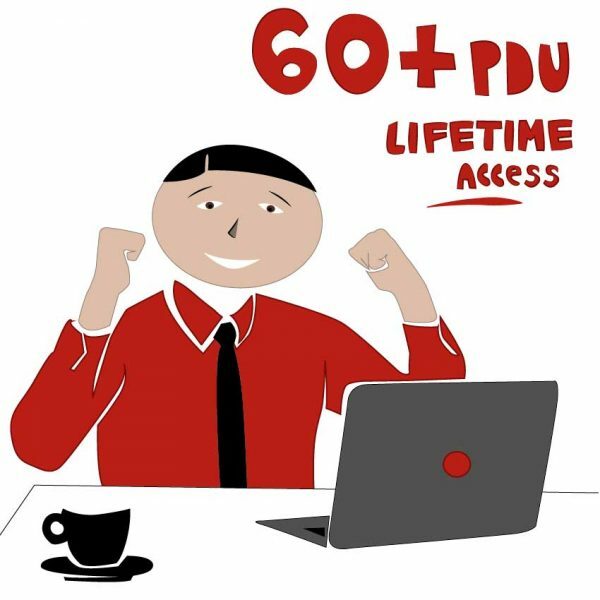 PDM is also referred as Activity-On-Node and abbreviated as AON. This is because the activities are represented as boxes or nodes in the network diagram. In Precedence Diagramming Method boxes represent the activities of the project and arrows represent the dependencies of these activities. For instance, in this figure above, Activity A is connected to Activity B with a forward arrow. This means, Activity B is depending on Activity A, and Activity B can start only after Activity A is finished. Or in other words, Activity A is the predecessor of the Activity B. Now let’s see how sequence activities process can take place for a sample project. Let’s assume a sample project: Billing System Development for a utility service provider. 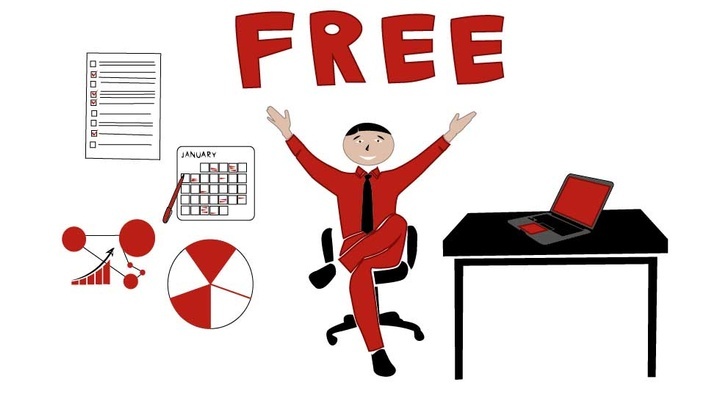 We can define the activities of invoicing screen work package as analyze invoice screen requirements, the design of invoice screen, development of invoice screen and test of invoice screen. During sequence activities process, these activities must be planned in order to complete the project successfully. Activities will be starting from the beginning and will be ordered till the end. 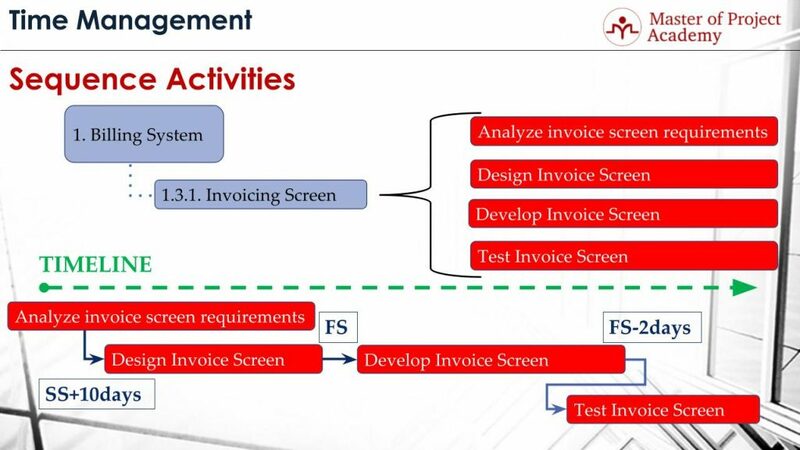 The first two activities are analyzing invoice screen requirements and design invoice screen. The relationship between two activities is start-to-start plus 10 days. This means that design invoice screen activity can start only after 10 days passed after analyze invoice screen requirements started. This is a general approach in software development projects that, the design of the screens or features start after analysis comes to a level. Therefore, there is a time between each activity. After the design of invoice screen activity is completed next activity: develop invoice screen can start. Development of the screen will be performed based on the design and analysis output. 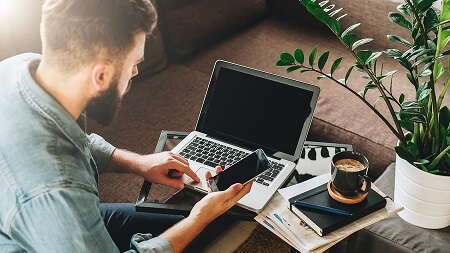 And there is a finish-to-start interrelationship between design invoice screen and develop invoice screen activities since the development of the screen cannot start before analysis and design are complete. Last activity is testing invoice screen. 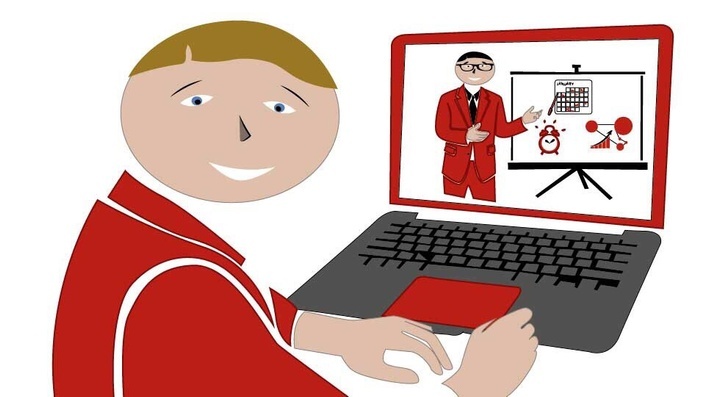 After the development, the screen must be tested before showing the final outcome to the customer or handing over to the customer. And if there are any bugs or problems with the screen, these must be fixed appropriately. Test of the invoice screen can start 2 days before the development finish date. Because, let’s assume that development of the screen takes 10 days, and after 8 days, it is expected that majority of the development is complete, and testing can start. 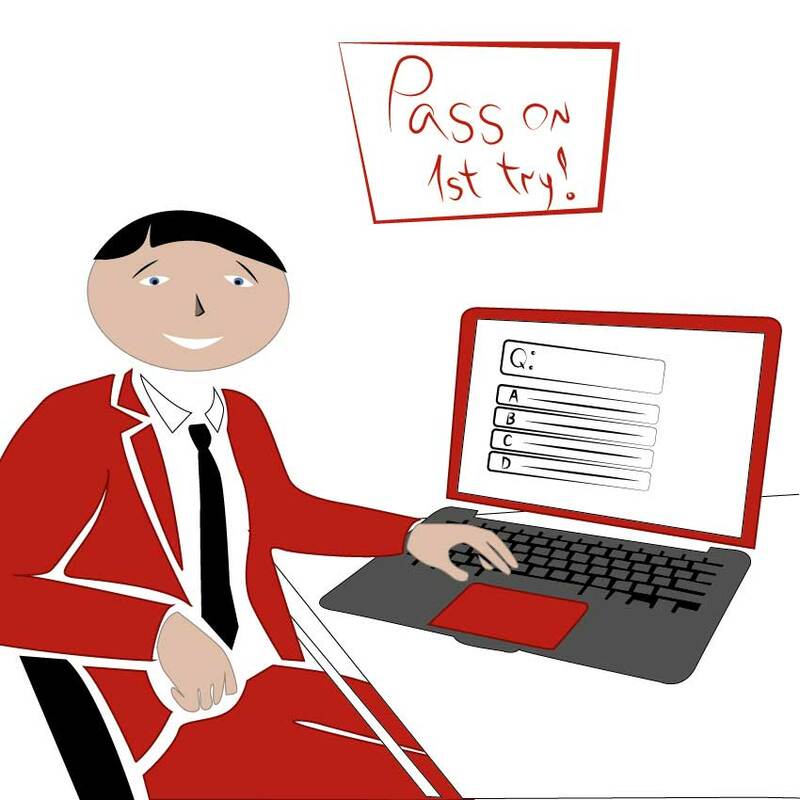 In order to gain time in the project, testing can start 2 days before the development completion date. We explained the objective and the output of Sequence Activities process of Time Management. Sequence Activities process mainly aims to finalize the interrelationship of the activities for completing the project scope and for reaching the project goals.